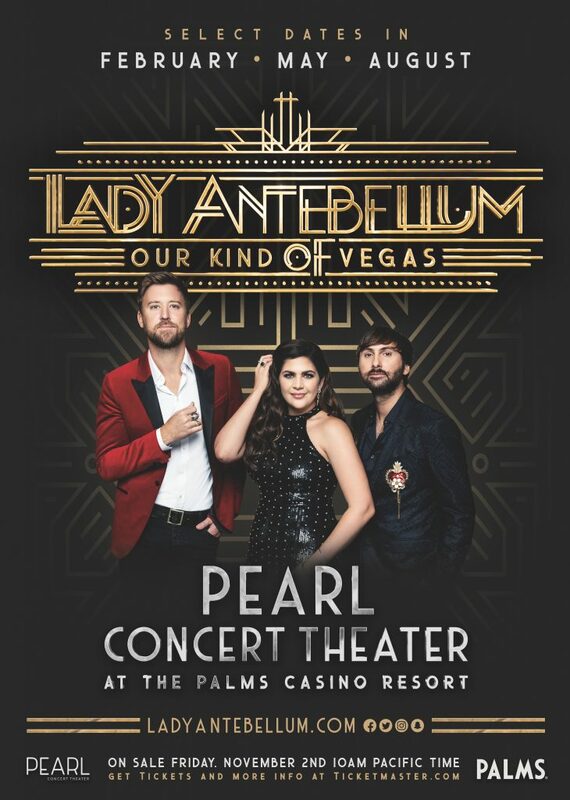 Lady Antebellum has announced their first-ever Las Vegas residency, OUR KIND OF VEGAS, launching Feb. 8, 2019 at the Palms Casino Resort’s Pearl Concert Theater. As the first country act to headline the venue, the trio will offer stripped-down performances each night, and will often feature the songwriters behind the group’s fan-favorite hits. Live Nation is the official promoter for the residency with tickets becoming available to fan club members Monday, Oct. 29 before the public on sale begins Friday, Nov. 2 at 10 a.m. PT at ticketmaster.com.